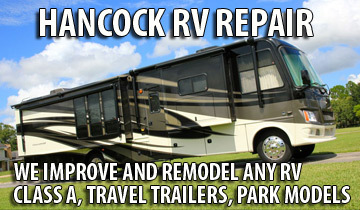 I own a 2005 Trophy park model and we had [Hancock RV Repair] do several different jobs for us that we were very please with. He build a new set of stairs for and we were so impressed we had him cut in another door at the opposite side of the screen room and build another set of stairs. They are FANTISTIC. 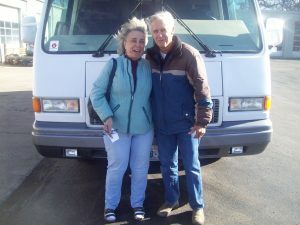 His has done several other thing for as well as winterizing and we have been very happy with his work. We would recommend Woody for any project you may have.